Want to free communication in short distance? 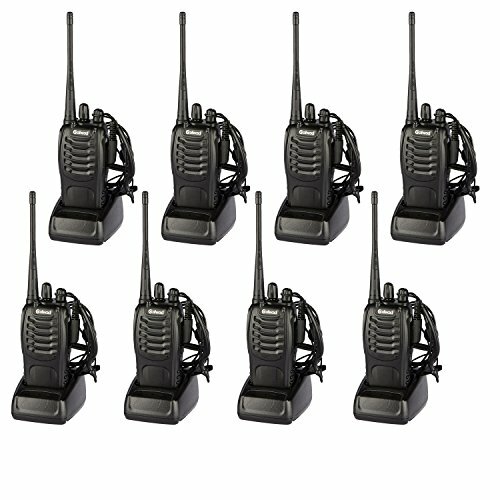 This simple,economical and convenient item can meet your requirement.This Walkie Talkie is helpful for these circumstances:security guard,supermarket connection,construction area indication,most helpful for field survival, biking and hiking.Also,these radios equip led light to meet your need at dark night. This piece of two-way radio can connect each other in remote area or wild field, where shell phone signal is poor. You can find you partner in distance of handshake to 2 kilometers. With latest techapplied, it is very easy to use these. All you need is turn these two to the same channel(16 channel to be chosen), push a button, and you can hear from your mate. Batteries need be functional, of course. Each radio has a earpiece;With this 2 way radio, you can communicate more easily. If you have any questions about this product by Galwad, contact us by completing and submitting the form below. If you are looking for a specif part number, please include it with your message.